A decision to transfer funds for India’s flagship employment guarantee scheme in real time will be taken soon. This is expected to end the procedural delay in fund transfer for the scheme to states, a factor known to be behind its poor implementation. It will enable states to get their share of funds on any day of their choice. The Mahatma Gandhi National Rural Employment Guarantee Scheme (MGNREGS), which legally guarantees 100 days of work to unskilled adults in rural households, is always in the news for reports of poor implementation, unpaid wages, poor asset creation and corruption. State governments always accuse the Central government of delaying allocation of funds, resulting in poor implementation of the scheme and unpaid wages. “States have been demanding it for long. Even the previous government had not taken any decision regarding real-time transfer of funds,” says an official who doesn’t wish to be named. “The cabinet will likely take a decision on its implementation. It will help states get funds without delay, in a day or in a week,” he adds. 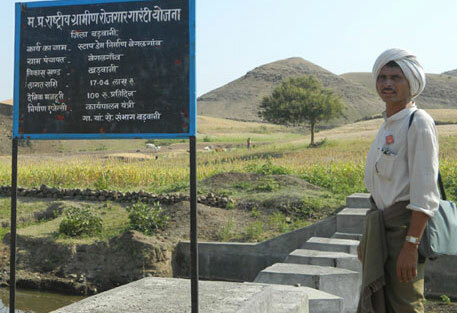 It is feared that a potential drought in the face of a deficit monsoon would lead to rural crisis. Huge unpaid wages may discourage unskilled labour from participating in the scheme and compel them to migrate for work. “The Centre is also thinking of increasing days of employment from 100 to 150 days in drought-prone areas to contain migration and secure livelihood,” he says. Now its high time for states' to improve and streamlined its payment system to get this money to reach directly in account of workers.